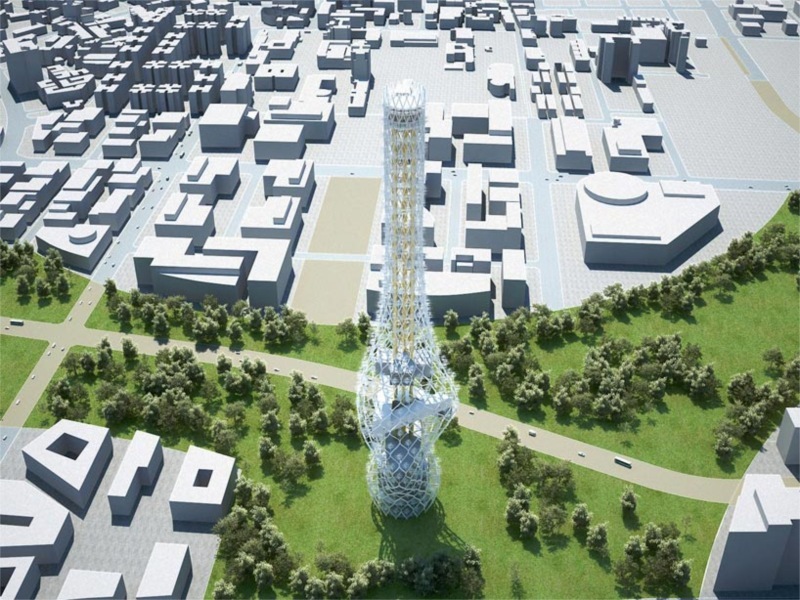 The ambition to create a 300-meter high freestanding tower with sightseeing and recreational functions that will serve as a ‘model green building’.This is one of two entries submitted by NL Architects for Taiwan Tower. 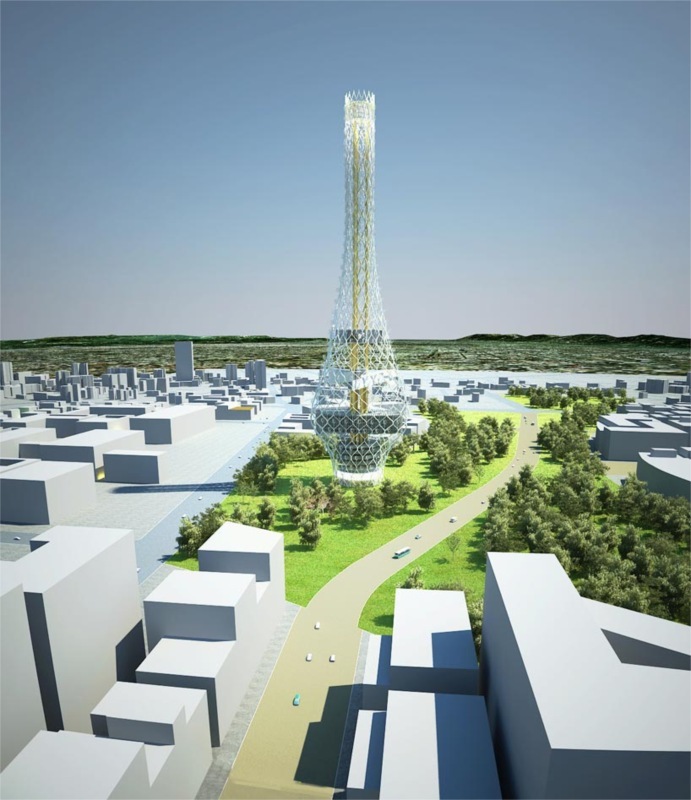 Instead of having just icons of steel or concrete, the idea here was to generate power via the tower. An innovative and bold concept. 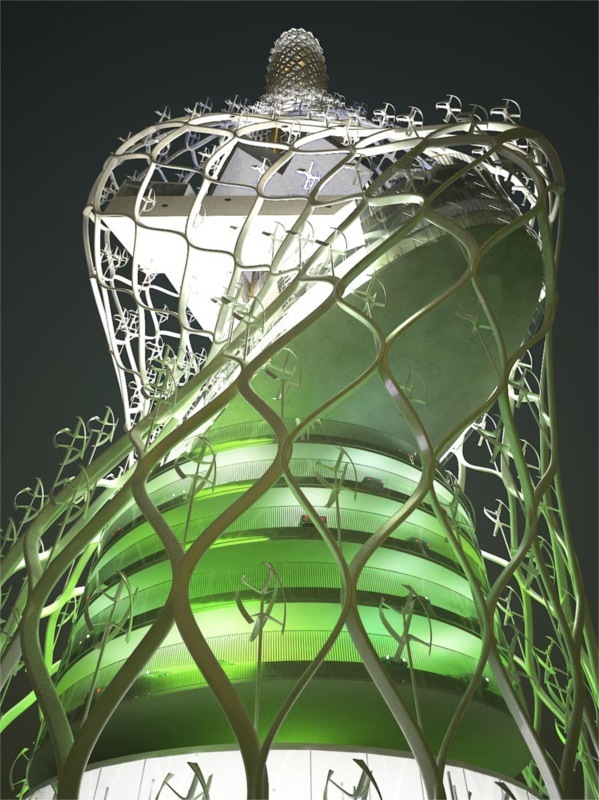 The ‘Tower of Power’ features 2000 rotors that together produce 8 MW. It is not just a symbol of good intentions; it actually produces green energy. 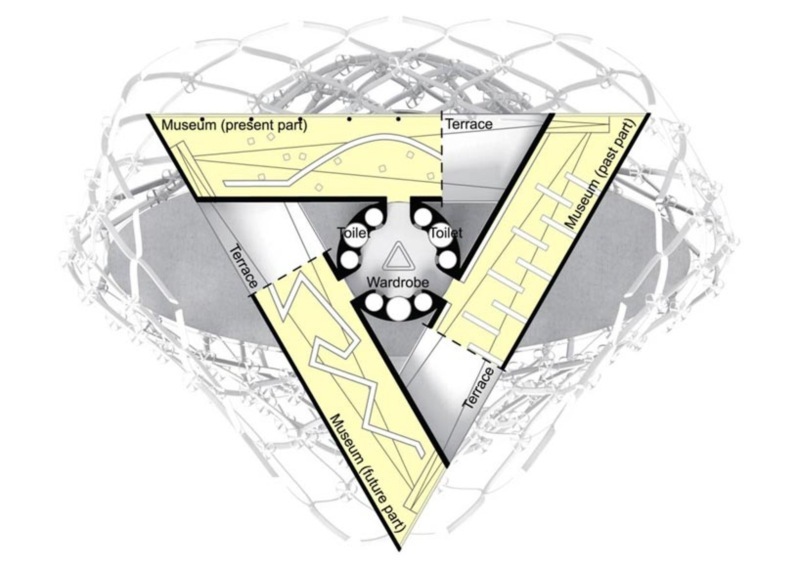 Instead of being yet another ‘empty’ icon it actually is a usable object: next to its required functionality as sightseeing tower and telecommunication base it is an environmentally friendly power plant. Tower of Power is power plant without the obligatory technical appearance of wind turbines as we know them. tower of power is an attempt to investigate how power plants of the future can be turned into objects of beauty. 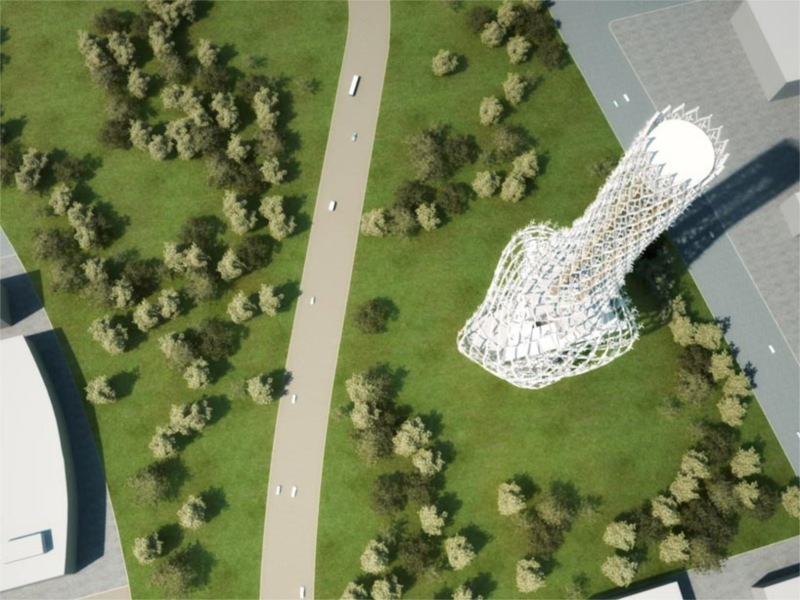 By simply combining the two typologies of windmill and observation tower, the tower of power in one single operation aspires to change the ‘content’ of the new generation of tourist towers and at the same time the appearance of future wind energy generators. 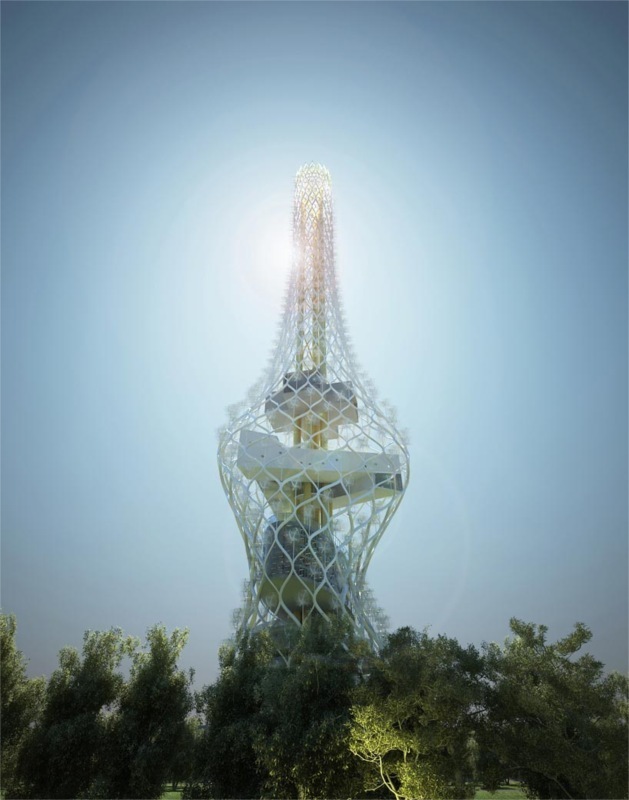 Tower of Power as such tries to take renewable energy production to new heights. 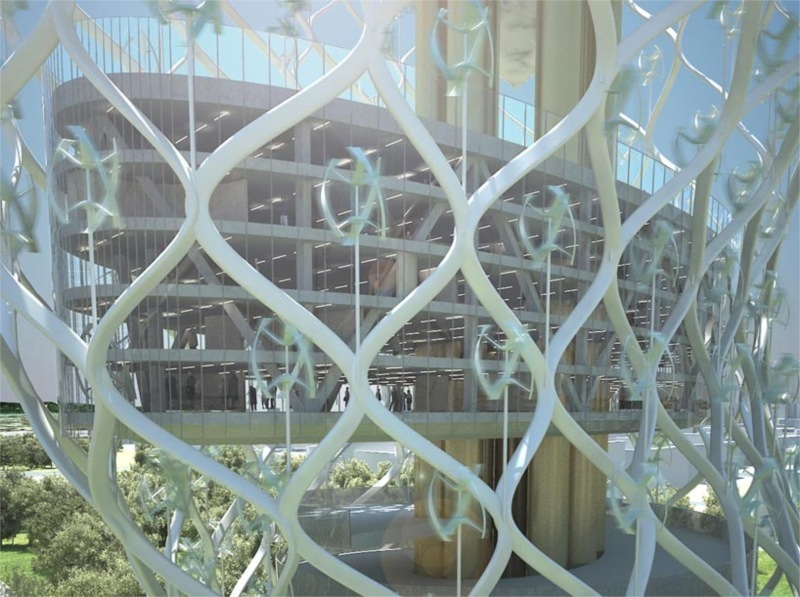 The Tower of Power features an exo-skeleton; a structural net wrapped around the building that together with the building’s core supports the required programmatic elements. 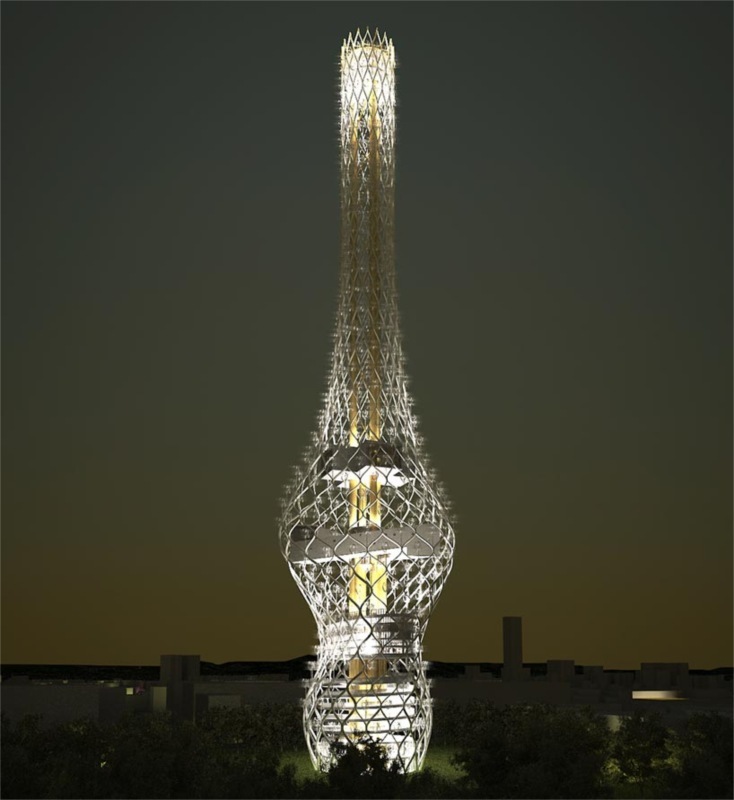 The structure as such is perhaps reminiscent of bamboo weaving or bamboo scaffolding. 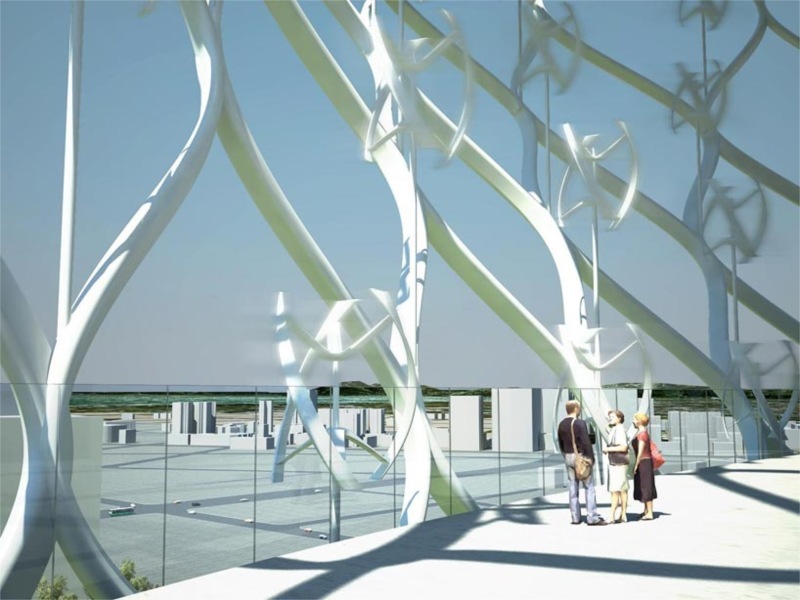 The weaving of the structure creates an intricate pattern of void spaces. These empty spaces can now be occupied by so-called vertical axis wind turbines. 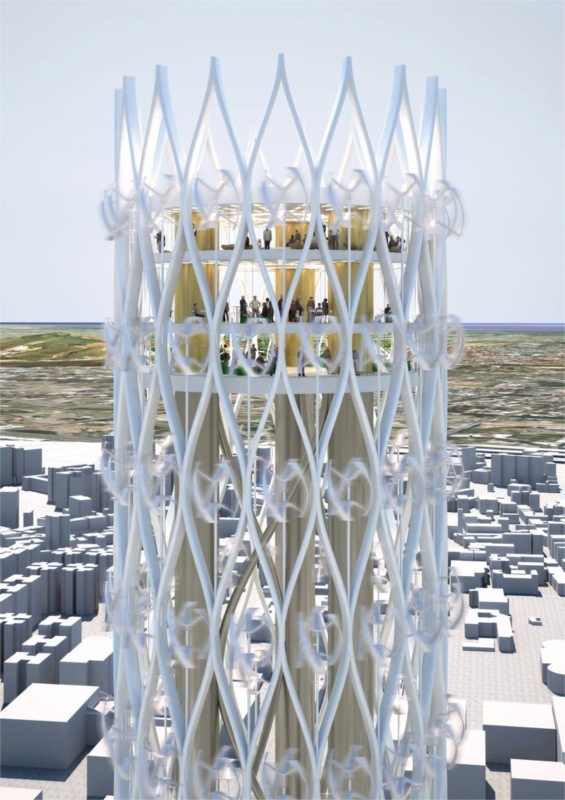 tower of power does not propose to use a new category of turbines; it deploys an existing type: the eddy. These flower like turbines are just orchestrated in a refreshing way. McDonald’s, Burger King, & Chili’s: Going green?